16 april - 4 maj anordar Film Society of Lincoln Center tillsammans med Filminstitutet och Svenska Institutet evenemanget Northern Exposures: Social Change and Sexuality in Swedish Cinema, 1913-2010. Ingmar Bergman är förstås oundvikligt men här vill man även visa New York-publiken andra regissörer, såsom Gustav Molander, Arne Mattson och Hasse Ekman (hurra!). De tre filmer av Hasse som kommer att visas är Changing Trains, The Banquet och The Girl with Hyacinths (alltså Ombyte av tåg, Banketten och Flicka och hyacinter). Förutom dessa finns det alltså ett digert filmprogram med titlar som Ingeborg Holm, Norrtullsligan, Bara en mor, Doktor Glas, Ett brott och Fröken Julie. 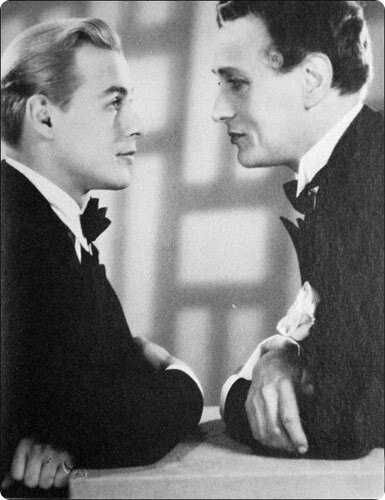 Hailing from a great theatrical and film family—his father Gösta Ekman had played Faust in Murnau’s film—Hasse Ekman leapt to prominence in the Forties with a string of popular and critical hits. Still a great popular favorite, Changing Trains tells the story of a young actress (Sonja Wigert) who meets a lost love (played by Ekman himself) while waiting at the train station. Years before, the woman had abandoned him to seek love in the arms of suave matinee idol (the irrepressible Georg Rydeberg); now it seems the years have taught her a few things about how it feels to be abandoned. Ekman was a great admirer of Orson Welles, as seen in his use of voiceover and fractured time frames. With his 60th birthday approaching, Jacob Cotten, a rich, successful banker, reflects on the failures of his life, especially with regards to his children. He would like to leave his business to one of his two sons, but one is a socialist and the other a high-living, irresponsible cad. A searing social critique of a materially-driven society, The Banquet led a wave of late-Forties films that attacked the remnants of Swedish aristocracy, decrying its corruption in works ranging from thrillers to melodramas to comedies. As always, Ekman elicits terrific performances from his cast; Ekman himself plays Hugo, trapped in a loveless marriage with Cotten’s daughter Vica (played by Eva Henning, Ekman’s then-wife). Universally cited as one of the greatest Swedish films, this remarkable Citizen Kane–like investigation traces the motives behind the suicide of Dagmar, a wan, mysterious young woman (played beautifully by Eva Henning). Puzzled by her death, her neighbors Anders and Britt (Ulf Palme and Birgit Tengroth) start looking into the possible causes for her death; they interview Dagmar’s circle, from the drunken artist Körner (Anders Ek, terrific) to the haughty actress Gullan (Marianne Löfgren) to her gruff former husband, Capt. Brink (Keve Hjelm). Yet in the shadows lurks a certain “Alex,” whose love letters to Dagmar were a cause for the break-up of her marriage. Trevlig filmtittning önskar vi New York-publiken. Hoppas detta bara är början på kommande utländsk uppmärksamhet kring Hasses filmer.